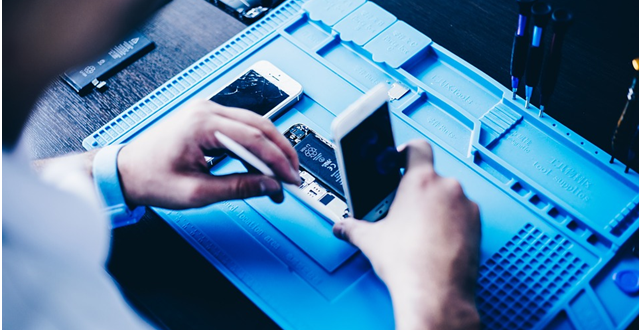 Hi, all right in following few words I’m going to explain you how to replace a battery in your iPhone 6 or 6S. Do you know we have already done a detailed explanation on iPhone LCD repairing? Well, in below few minutes read you will be able to do replace iPhone battery at home. Hi, readers hope you have enjoying our series of iPhone repair that include iPhone screen replacement and so on. Without wasting your time let’s jump into the iPhone repair. Gently lift the screen up to avoid crack on the glass. When the screen is fully lifted up, just open the 5 Philip screws of securing plate on the iPhone LCD flex strips. Remove the flex strips, and detach the whole screen. Unscrew the two screws on the plate securing the iPhone battery connection. Lift the plate and detach the flexi strip. Now, here you will be happy that you have done with this, but the real job just started now. The iPhone batteries are stacked with a housing with the help of special glue. You have to soften this glue first. Just plug the hot air gun and put some heat on the back of the housing for about 2 to 3 minutes to just soften the glue. Don’t hot too much the phone even you are unable to touch it with hands. Overheating the phone may cause damage to internal components putting you in big trouble. Melt glue will easily allow the battery to move up from its position. Lift the battery up with the pry tool from the side walls of a casing to make ensure that your pry tool not damage the internal wires leading to volume rocker etc. You should be Soper careful at that point just keep in mind you are dealing with the touch ID. Keep prying up the battery from the bottom until it completely lifted up. Yeah, you are successful in removing the iPhone 6 or 6s battery. You need to use the double-sided sticky tape at this point to attach the new iPhone battery. Place the new battery in the housing on the sticky tape. Slightly press to make a firm connection with the body so it should not move inside the phone while you are using it, and connect the connector strip on its proper place, securing it with an appropriate plate with Philip screws. Now, just install the iPhone LCD screen back to her position by connecting its connector at their appropriate places. Pack your phone up and just switch it on with long pressing the power button. If your phone screen lightens up, hurry, you are done with it. Install the two screws at the bottom of your iPhone. Connect your iPhone with the Wi-Fi network to setup current date and time, it will re-instate the signal strength. 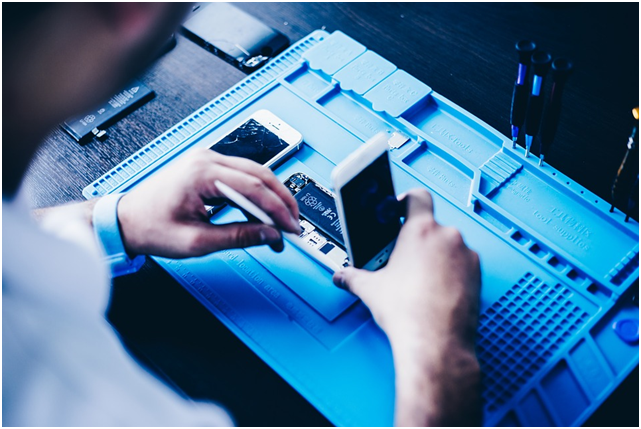 However, we have tried our best to explain the iPhone battery replacement process in descriptive manner, I’m well confident that you can do this at home. But I will not be held responsible for any misshape occur by following my steps. Please keep few things in mind as it may cause an injury to yourself of can damage to your precious property. Use gloves while heating the back surface of iPhone. Use proper tools as they can damage to your hands if slipped mistakenly. Take extreme care while removing flexi cables wires because these are thin wires. Moreover, if you feel any difficulty and afraid of doing this at home then just reach us out at iPhone Repair in East Norriton. Our qualified tech support will help you to fix this issue. Author Bio: Mukesh Pathak is a computer science graduate, working to empower the youth with software development and technical writing. He is full-time web analyst at Power My Web and project manager. Not this but he is also a blogger and technical writer. Previous article Why is PHP so widely used for Web Application Development?